There are several anthologies that I or friends have been involved with or that I just think are fabulous both for the cause and the content and would be great and worthy presents for Christmas. The beauty of the anthologies is that you can dip in and out and everything will find something to enjoy. I think it’s important to balance the hysteria of want around Christmas by giving something back if possible. These anthologies also let you or the person you are buying for share in the very human experiences of others. Book: A group of writers, public figures and celebrities have contributed fiction, memoir and non-fiction pieces to this large volume of 448 pages. Charity: The Hope Foundation works to give street children in Kolkata – formerly known as Calcutta, a glimmer of hope. Projects include ‘shelter, healthcare, education, vocational training, child protection, anti-trafficking, anti-child labour and child’s right advocacy. Book: A ‘Pint and a Haircut’ is a collection of true Irish stories collated by Garret Pearse. Charity: The collection is raising money to be used by the aid agency Concern in Haiti. My poem ‘If we thought that love was gone’ is included. 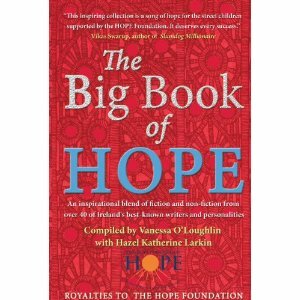 The charity: All the money raised from the book goes to St John’s Ward at Our Lady’s Children’s Hospital, Crumlin, the Haemotology and Oncology Ward. 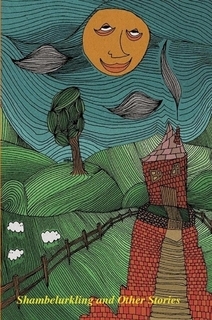 The Book: Shamblelurking is a collection of stories and poems for children between 8 and 12 years of age, which has been compiled and edited by Marit Meredith (The Pages Magazine). Charity: The book is in aid of the National Autism Society who will receive receive £1.06 per copy sold. Book: Fifty short stories of five hundred words or less from a wide variety of established and new writers compiled by Greg McQueen. There are, of course, many worthy causes out there but these are top quality products with wide appeal and will make great gifts. Best wishes for the Christmas season. NaNoWriMo – Now it’s all over, would I do it again? This year I was ready to write a literary novel, one that I have been thinking about and gathering notes for for about three years. So the themes were well established but I suppose I still hadn’t got round to plot and fleshing out the characters.During NaNoWriMo I got to know the characters and hear what they had to tell me. Is it possible to write a literary novel using the no-holes-barred, gun’s blazing NaNoWriMo method? Yes and no. I set out to write some vignettes, flash pieces within my novel. I thought this method would suit me because of my love affair with flash fiction in the past few months due to my involvement with the #fridayflash internet meme. I did achieve this several times and posted some of the results but overall I broke all the rules and wrote random incomplete pieces as they emerged from the subconscious, darting this way and that as the mood took me. I did have an overall structure in my mind but during NaNoWriMo I have to admit that I worked within in only very loosely. This year, despite finishing early (on the night of the 27th, due to two sessions on different weekends of 7000 words in a day) this post NaNoWriMo period hasn’t the same exuberance as last year’s where I hosted a NaNoWriMo Celebration Blog Party. (Of course tomorrow is the official closing date!) Yesterday (the 28th) was spent up until 1am finishing a short story for another deadline. Although exhausted from these two (Marathon and Sprint?) and needing to catch up on neglected aspects of life, I know that I will be writing in some shape or form every day. There is this literary novel to crack, write a synopsis for, there are edits to put through on the last book, there are flash pieces to write for another project and always, always short stories. So although there are many words written, some of which may be pretty, there is no sense of finishing about NaNoWriMo, it is just one step on a continuing path. What I missed during NaNo and what has to be crucial in a literary novel is the fine tuning that I later re-discovered while working on my short story. It is the careful selection of phrase and word to resonate with the piece as a whole. It is the pleasure that comes from polish. After giving myself over to abandoned word churning I began to feel a little dull and tawdry. I know that the 50,000 words are there now and that I can go back and polish now to my hearts desire, restructure, revise and try to bring out the jewel I hoped for to begin with. I’m the kind of person for whom a deadline brings out the heroic but I’m not sure that I will be doing NaNoWriMo next year. I might be too busy polishing old things. It always begins in the cinders. The last sparks, hot black in anthills of ash. She expects nothing, stooped over the fire, her fist moulded over the poker like melted wax. For the likes of her drabness is the requisite mantle. And a mantle is what they wore – what all the women wore, the black headpiece with which they covered their head in the church. They bent their knees there as she does now in front of hot coals, but the coals there roared with the lascivious threat of the hellflame, consuming them from the inside if they dared to look into the heat and like it. It is all but quenched now. She has the impression of a bishop in plain garb striding to smite her with his mitre. Disapproval was a dagger that was slid in quick, removed and wiped clean. She shakes her head. Shakes off the past. ‘This is the me I would be if I were old’ thinks Freya. She is bent into the fire, she heaves and grunts. Time running out. She runs in her beautiful skirts. But it is midnight and too late. The world is disappearing. Her car, the music, the house, disappearing. It doesn’t go on forever and her feet are so cold. Glass slipper. The lake is frozen, it’s never frozen, not in this part of the world. But she is a metereologist, she knows what is possible. In some parts of the world the sea freezes. In some parts of the world the ice of ages is melting. She walks onto the lake. The trees are trapped within it, their hand branches reaching up. Yes Atlantis and also Melcha reaching up out of the lake when her love turned cold and she wished for escape. But she is trapped under the ice, banging and shouting. ‘A glass ceiling’ Freya laughs. She was slave to her emotions for the man. He made her a prisoner of his passion. Nothing lasts. That is not to say that nothing changes. That is not to say that what went before is best and that present and future are the fading light of dusk, that the past is all aglow. Not always. But an old lady feels the cold in her joints, she knows the end is coming and that when winter hints there is not much time left. This is in the normal way of things, when life unfolds at its present accepted pattern, our expectations now extended with the unfurling of our life-span. Once 30 was the age of ending. Now we live thrice that. What does that mean in memory, all that folding and folding over, overlaying the sharp elements of what we call fact, chiseling them down so there is no scalpel for truth. There is no veracity. There is no eye witness testimony that makes any sense. ‘When I was a young woman’ say this old lady ‘there was a movement for truth, for values for wholesomeness. People wanted an end to flailing, scaling heights, finding themselves at the end, ladderless, vulnerable and alone, most of all alone. The old people are the ones with the stories. By the firesides, the seanchai, the storyteller with his spun tales as the old ladies spun the sheeps wool in the corner into thread. They told all those stories, like Melcha and the O’ Donoghue, Finn Mc Chuail who leapt mountains. Diarmuid and Grainne’s betrayal. All those stories, stories of everthing. Every story that needs to be told. Nothing new. Nothing new evermore needed. Those stories were told in the folds of clothes as the congregation of folk leaned into the fire. The turf smoke and tobacco held the resonance of words, the lyrics to their songs of life. They sang too of course, those sean nos singers took to the floor, their eyes closed. The song was inside them. The hum of it was the tune of their blood, they had to get at it and they tapped out the beat with their feet. The neighbour would take his hand as he sang to offer comfort. The heart becomes so sore in the exploration of age old emotion. Like drinking fire. ‘How do you know these things?’ Freya. ‘Butterflies’ says Freya. ‘The butterfly wing causing a storm a thousand miles away. ‘A lover’s scorn causing a war’ says the old woman. At night it is moths by the icy lake. Her feet turning cold, her extremities, the fingers that are tough to the bone. ‘Did the prince ever come looking?’ wonders Freya. ‘There are princes everywhere, always looking’ says the woman. ‘Isn’t that life, my likeness, isn’t that love, that ridiculous thing. We stray from our mother’s breast, that touch, that companionship, that tenderness as she holds our faces between her hands. She pours love, oh if we are lucky to have such a mother, she pours love into us, so that we see ourselves loved and loveable. We take that in through our bodies, through the tips of our fingers, through the hair on our heads, through our cheeks, our round limbs. We soak it all in, it coats the malleable brain, like a marinade. And if we are not loved, then, there is instead a poison. I say we stray from our mother’s breast, her touch, her tenderness. Later we look, wishing to retrieve, not our mother, but that loveness back into our selves again. This mirror mapping of the cells, what we call soul, back again through another. So comes that burst of recognition. When you love it’s as if you already knew, it is not new, it is love anew. Synapses spark. Sparks fly. So the prince takes the glass slipper and searches and if the truth be told the girl in cinders takes a mental brogue and goes out into the world to see if the shoe fits. Longing, looking. ‘Until somebody eats the shoe’ says Freya. A quick post to say that the results of the Bridport Prize are now official and I’m absolutely delighted to say that one of my stories has been shortlisted in this popular and very well known competition. Being on the shortlist means that the story reached the last 100 out of 6000 entries. On hearing the news I must say I shed a little tear of happiness. In the last couple of years I have really had a love affair with the short story and hope to continue to develop my stories. Big congratulations to the finalists who will be published and the top winners including Kirsty Logan, who I’ve met online, her story sounds sensational. All the details including judge Zoe Heller’s fascinating report are here Scroll down to see my name! At the moment I’m working on a novel but thinking about my short stories always thrills me. I have to admit I’m a bit of a short story evangelist. If you are too and are on twitter, check out the #shortstories hashtag and follow @taniahershman, @nikperring and @BristolPrize among others for great short story tweets and links. In the spirit of this short story love affair I was tremendously taken with this post on Nicola Morgan’s fabulous writing blog. It’s a wonderful interview with short story writer Tom Vowler and it really echoed many of my short story writing experiences. This post is great but also sign up to Nicola’s blog. It is the most comprehensively helpful blog for writers. Nicola was recently nominated for the Carnegie Award for her latest book ‘Wasted’. I’ve just discovered this link via the BristolPrize and had to add it as it seems (hopefully) very apt. It’s about why the Irish are good at short stories! Anne Enright in the Guardian. If you have been scribbling away and have well rouned stories ready for the off, here are some Submission Opportunities for Short Stories. The crossroads is broad and wide, half way up a hill. Approaching it with the town at your back the road continuing to sweep upward to the brow beyond the lights. That way leads to the motorway, north to the capital, south to the land of above average sunshine, fruit farms and holiday homes. On the left and right are narrower lanes, known by colloquial names, tributaries snaking past red bricked and grey pebbledashed estates onto broader highways beyond. There are pedestrian lights at every corner to ensure safe passage. There is a bus stop where you can queue for buses to the town , or even the city. Grace always presses the button to make the light go on and you have to wait. Mummy says it says WAIT and you can go when the green man goes beep beep beep. And you have to hold hands. And yesterday Daniel was naughty and he didn’t hold hands and I did. I didn’t go on the road by myself and the cars didn’t squash me. Freya knows the sequence of the lights. Once the traffic on the main road takes pause, the side roads filter in one by one. First the ones on the far side, coming up the laneway, then the ones on this side spilling out from the housing estates with their kid-friendly green spaces. It is called the Killarney Road because the town was once peopled with well-to-do Victorians for whom Killarney was one of their cool must see before I die places. So here on the fourway crossroads are echoes of the lakes of Killarney, stewing in their romantic, melancholic mists, reeds and rushes at their banks, midges rising, the black, slippery bark trunks of trees standing in water,. A grand house at the lake edge with 62 rooms and more than hundred chimneys and a castle that is more of a folly, an illusion on the shore. Daniel and Sean always fight about pressing the button, so they both do it, Freya lifts up the buggy so Sean can reach. Sometimes Daniel squashes Sean’s finger under his. Someone has already pressed the button. There is a moment you know when the traffic light turns amber, a moment turning and you will it to linger and your heart beats faster with the change approaching, you don’t want to see red. When your foot rests comfortably on the pedal, when the momentum propels you forward, the human race against time. Daniel is in front of her or behind, she can hear his footsteps tap, tapping, sense the density of the hair on his head, the fascination of his soft, downy nape, the solidity of his brown gaze, like gathered acorns. Acorns, stones, a whole beach here and down the coast in Greystones, scattered permanency, and here heaps of stones imported and laid down to keep the town weighted down, pinned to the shore, keep it from washing away. And the chid inside, still safe, somersaults, through airless inner space. Freya’s consciousness is porous and Daniel is in the periphery. The handle of the buggy is under her fingertips, other thoughts from the past perfect or the present perfect continuous bleed through, Grace standing on the sofa flapping her arms, putting on dress-up wings and flapping again, genuine confusion in her face. Why am I not flying? She wonders. Sometimes when the waves hit the shore they boom, and sea spray launches itself against the force of gravity. There is that sound when the tide trickles backwards through loose stones a kind of crunching gurgle, submerged castanets. Children squealing as they run backwards to avoid the tide or release sand grain ribbons on the wind. ‘Its not fair, the little girl says looking at Freya ‘its not fair, she’s flying.’ Freya flies for a long time, travelling backwards, astronaut cut adrift in zero gravity, in endless outer space, until she hits something block solid and stops, darkness falling over her.